Take a ride on your broomstick to the most magical place in the world, ADWV, for our very first wizarding dance camp! Your week will be filled with spells, potions, snitches, sorting hats, house badges and, of course, super fun dancing and activities! 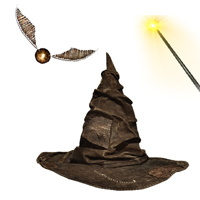 With a swish and flick of the wand, dancers will conjure up wizard themed arts and crafts and learn magical dances to music from and inspired by the best magical series of all time. All of our witches and wizards will put on a magical performance for their muggle friends and families at the Yule Ball performance at the conclusion of your Wizarding World of Dance Camp!